We press and blend heritage varieties for depth of flavour. 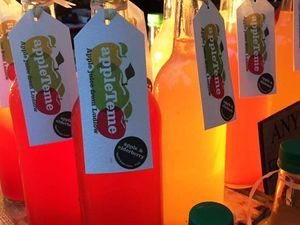 At Appleteme we hand pick and press the best local apples to create delicious tasting juice. Each limited press is special as it has great character and depth of flavour. We achieve this by blending an assortment of heritage varieties, which are particular to the surrounding area, many unfound in commercial production today. We make the most of forgotten fruit such as the wonderfully flavourful Shropshire Prune Damson, quinces, elderberries, medlars and blackberries which we blend with our apple to create exciting new drinks. These are to be enjoyed any time of the day. We attend many markets throughout Shropshire including the ‘Made in Shropshire’ markets.